Indian Navy Recruitment 2019- Apply Online for 172 Chargeman Posts. BSEB Bihar Board Scrutiny Online Form. RRC Group D Online Form 2019. Last Date: 12/04/2019. SSC 10+2 CHSL Online Recruitment 2019. Last Date: 05/04/2019. 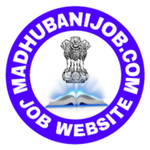 RRB Various Vacancy 13,0000 Post Online Form 2019. BPSC Assistant Engineer (Mains) Online Form 2019. Bihar BPSC PCS J Mains Online Form 2019. BPSC CDPO Mains Online Form 2018.